Johannesburg - After more than four decades of no-holds-barred comedy, the legendary Pieter-Dirk Uys will be awarded with the highest accolade South African comics can bestow on a comedian - the Lifetime Achievement Award. The announcement was made at this year’s Savanna Comics’ Choice Awards nominees press luncheon at the Goliath Comedy Club in Melrose Arch, Johannesburg, on Wednesday. 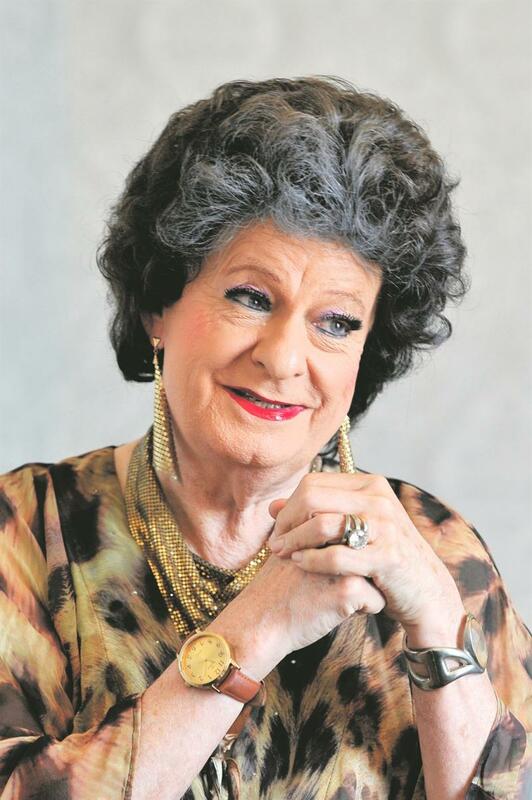 Uys – and his equally famous alter ego, Evita Bezuidenhout – was disappointingly not in attendance to receive the loud and unanimous applause that filled the room when his face appeared on the screen when the announcement was made. Comedian John Vlismas emceed for the occasion and tried too hard with the corny punchlines to keep the room entertained. A performer, satirist, author and longtime social activist, the much loved Uys has never shied away from using his smart artistry in political activism and commentary, which makes this industry recognition more than glorious. The Lifetime Achievement Award is the only category that is voted for by registered South African comics, and honours a comedian with 25 years or more experience in comedy. Uys (72) will join the likes of Cyril Green, Casper de Vries and Joe Mafela, all comedic greats who’ve received the prestigious award. Another thrilling announcement on the day was the addition of a new category, The Comedy G Award. Launched to celebrate the stalwarts who’ve paved the way, it gives a nod to the comedians who produce stellar comedy night after night; the ones who simply grab the mic and work the room without relying on talent alone. With no surprise at all, industry favourites Celeste Ntuli and Skhumba Hlophe are leading the pack, with nominations in four different categories. Ntuli is nominated in the Native Tongue, Flying Solo, Gamechanger and Comedy G Award categories. Hlophe, who was the most nominated comedian last year, has scored nominations in the Native Tongue, Flying Solo, Gamechanger and Savanna Comic of the Year categories. Hot on their heels are Loyiso Gola and Carvin H Goldstone, who each scooped up three nominations. This will be the eighth instalment of the awards and, if last year’s spectacle was anything to go by, this year’s will be even more of a jump. The 55 nominees, spread out over 12 categories, made the cut from a staggering 325 entries and the finalists will wait in angst like the rest of us to see who will leave with the Waldo statuette on 8 September at Gold Reef City’s Lyric theatre.